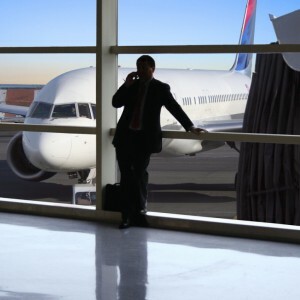 For the frequent business traveller, it is common practice that to travel business class. Due to the recent economic crisis, there have been strong signs of first class travel disappearing, with business class being the more reasonable luxury choice of preference. As a result of this trend, business travellers have frequently seen, depending on the carrier and route, drastic reductions in business class fares. As many companies have been more conservative with their budgets since the breakout of the economic crisis in 2008, airlines often offer considerable discounts in order to fill business class cabins. A further recent development in travel has been the rise of a new intermediate class filling the gap between economy and business classes, also known as ‘premium economy’. As the majority of industries, including airlines, have been hit by the recession, business travellers now actively seek discounted alternatives. Often a business class train fare is cheaper than the same business class airfare, so often business travellers will opt for rail travel despite rail travel taking longer. Of course, not all routes are covered by rail, for instance transatlantic routes. Here, many former business class travellers are now downgrading to premium economy or economy classes on long-haul flights so as to save money. For many top business executives, however, downgrading and abandoning the perks of business class just isn’t an option. For those who can afford business class travel, there are of course huge benefits travelling to doing as so. Business class passengers benefit from the personal flight attendants, greater legroom and excellent food, not to mention the added privacy and equipment necessary for conducting business on the flight. Dedicated business class travellers can even extend this quality service to the ground, so to speak. Limousine services such as Blacklane.com provide high quality, private business class travel services, be it airport transfers or for limousine services for the duration of a day. Luxurious vehicles, personal chauffeurs and efficient service are only a few of their guarantees, making it the premium transportation option within a large number of cities.